This Sundays Session was the best yet. More bikes were completed for the Sustainability Expo. 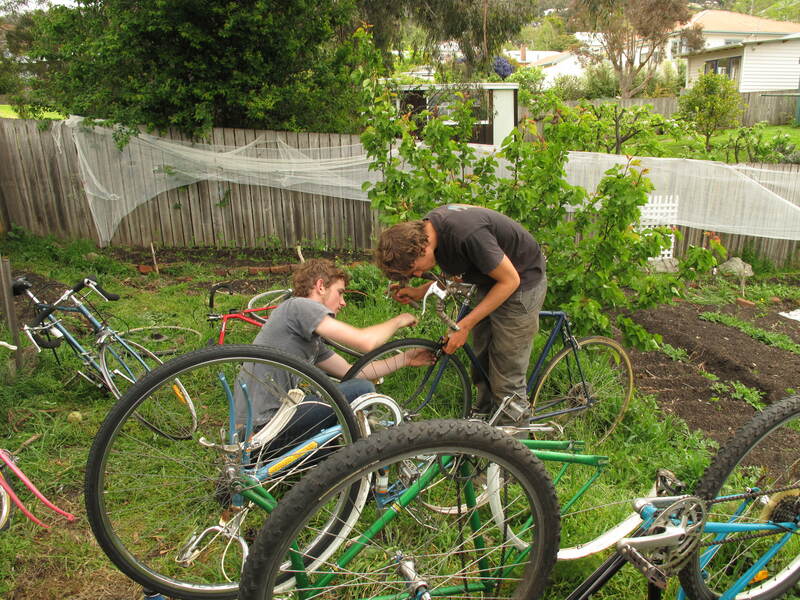 We had people along learning skills and building up their bikes, people coming along to find frames and parts and amazing people donating their time and their stuff to Hobart Bike Kitchen. Thanks to everyone involved! 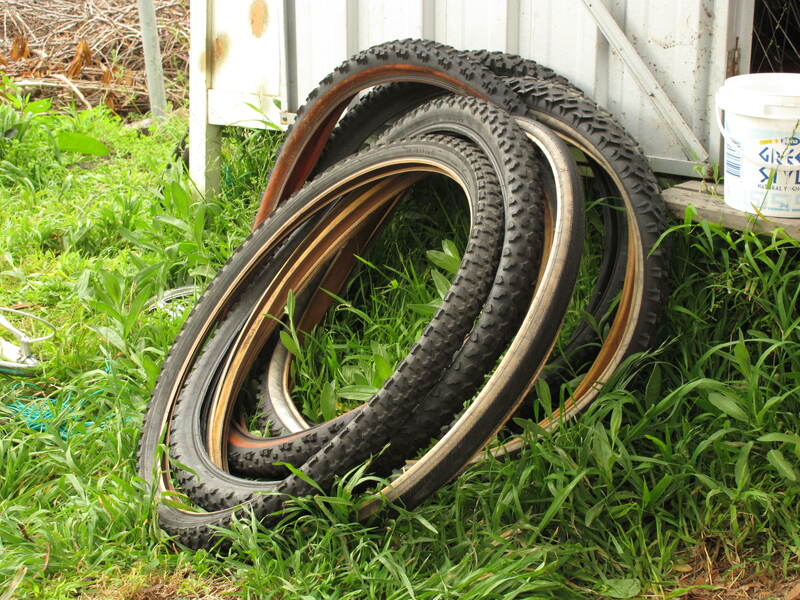 A Special shout out goes to Rodger Willows whose donations nearly doubled the amount of bikes we have as well as including boxes of parts and tools! We are still sorting through what we received (and trying to fit it all in our Shed!) 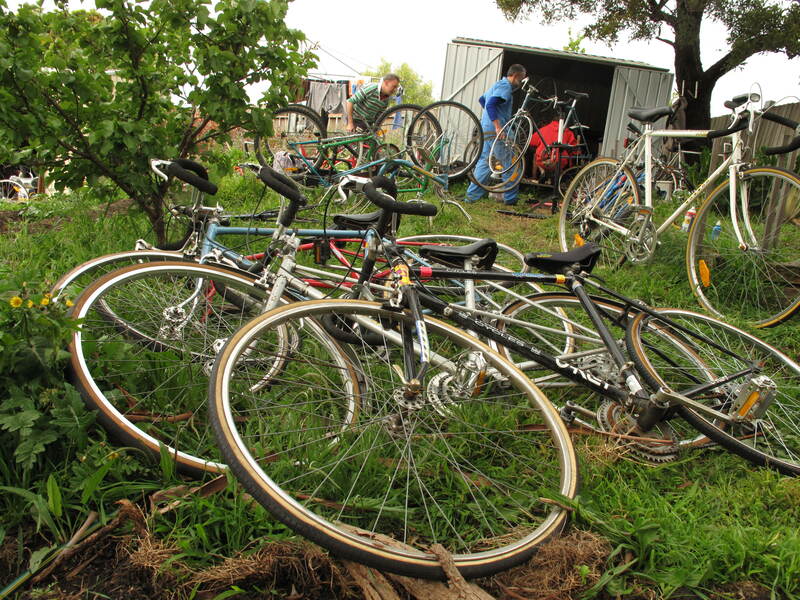 No doubt his generosity will let us help heaps of people onto their bikes this coming summer. To those of you who have contacted HBK about donations, thank you and we will try to get in touch with you tomorrow. Its a very busy time for all the volunteers at HBK and pickup of your donations is complicated by the fact I’ve finally gotten rid of my ute and therefore am in the enviable position of being car free. We will organise something with you soon. Thanks for your patience. With all the bikes and action happening at the HBK headquarters, we are fast running out of storage space. Long-term we are always interested in any offers of a secure space closer to the Hobart CBD. If you have any information about any unused space, please hit us up. Sadly, there won’t be a Sunday Session next weekend(25/10) as some key members will be unavailable. So we hope to see you all the weekend afterwards. 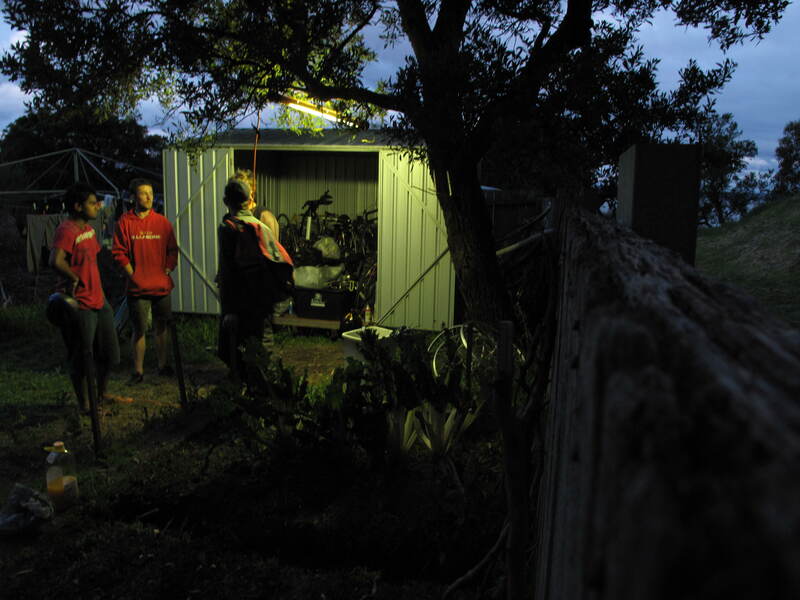 packing up after a productive days work. Some of the new bikes. These were donated by a lovely lady and her son who had seen us working and thought they might come in handy. Thanks! 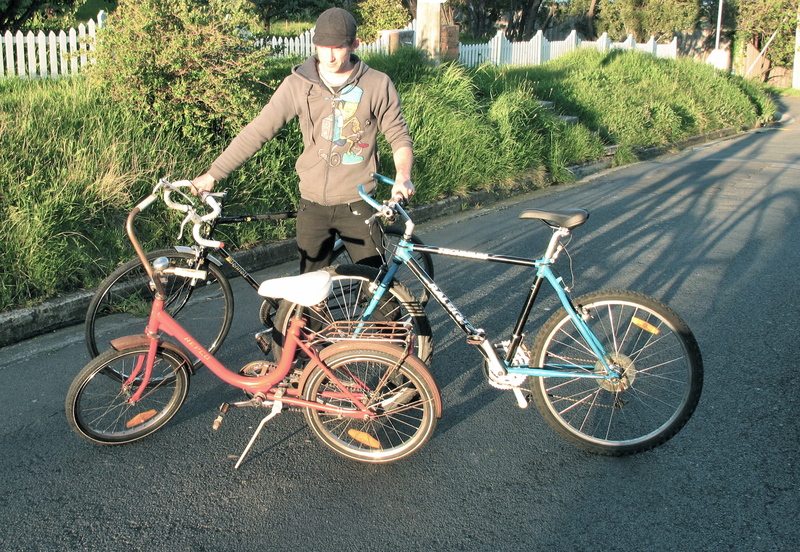 Three Completed bikes for the Sustainability Expo. 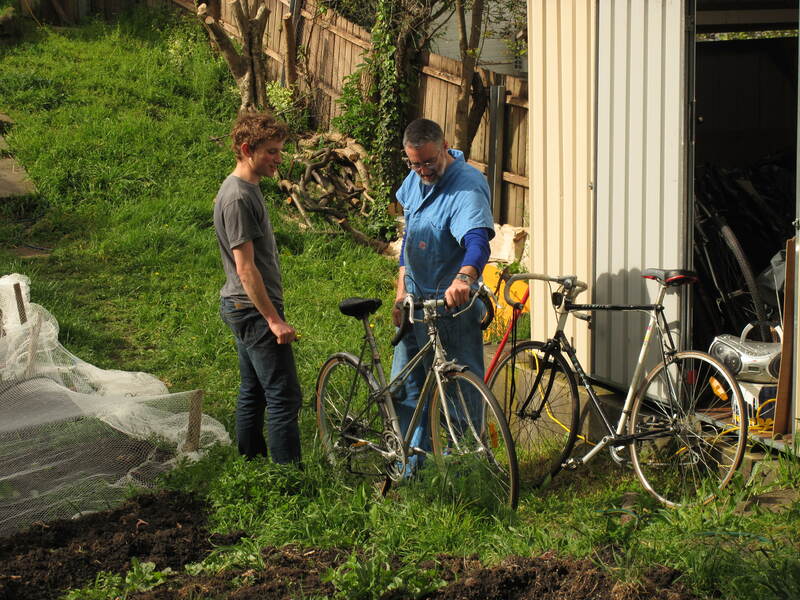 Roger and Gus admiring a Mixte that Roger had built up and donated. Danny working on his soon-to-be Tourer. Great work one and all. Look forward to HBK putting Roger’s donations to good use. When I left it was still daylight and you’ve kept at it till dark, you’re an inspiration. Next Next post: If everyone on the planet did get everything they ever wanted, we would have disappeared from existence a long time ago.